(L-R) are Tony Casenta, Jesco Pa., territory manager; Bill Durr, Jesco N.Y., Conn., territory manager; and Tom Reszkowski, Jesco N.J. territory manager. 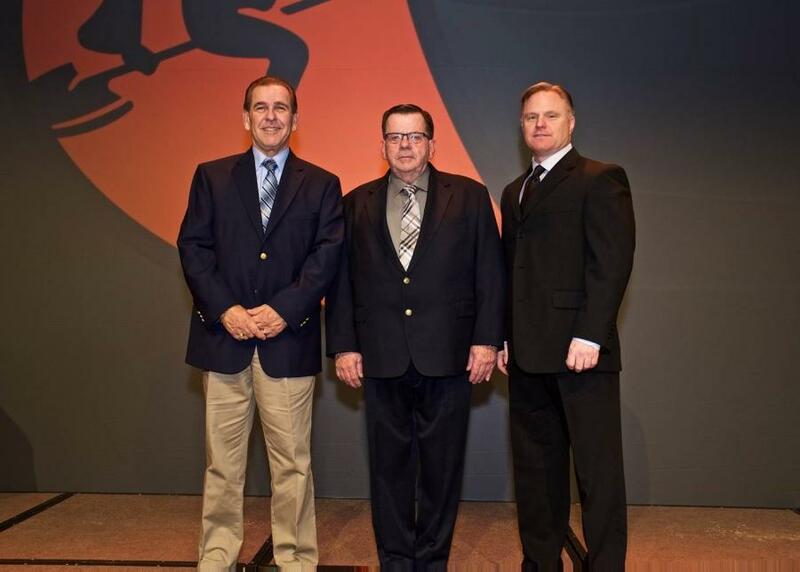 During the Ditch Witch worldwide sales meeting held Feb. 2 to 5, 2016, in Oklahoma City, Jesco Inc. was recognized as the number one Hammerhead Pneumatic Piercing Tool dealer globally for the fifth consecutive year, along with three of its sales agents for outstanding performance. Receiving awards were Tom Reszkowski, territory manager (N.J.) who took top honors, setting an all-time world record with 107 units sold, edging out Bill Durr, territory manager (N.Y./Conn.) who sold 99 units, and who previously held the top spot for a record four consecutive years. Also honored was Tony Casenta, territory manager (Pa.). Jesco Inc., a John Deere Construction Equipment Dealer with 12 branches located in Massachusetts, New York, New Jersey, Delaware and Maryland, supplies a wide range of quality brands including Ditch Witch, Hitachi, Bomag, Indeco, Genesis, Hydrema, Doppstadt, LeeBoy and Rosco for sale, rent and service.